The meme usually involves a "selfie," but people on social media have been giving their own twist. ARANSAS PASS, Texas — If you've been browsing social media lately, you have no doubt run into the "feeling cute, might delete later" meme, or some variation of it. The meme usually involves a "selfie," but people on social media have been giving their own twist. The Aransas Pass Police Department got in on the fun Monday morning. 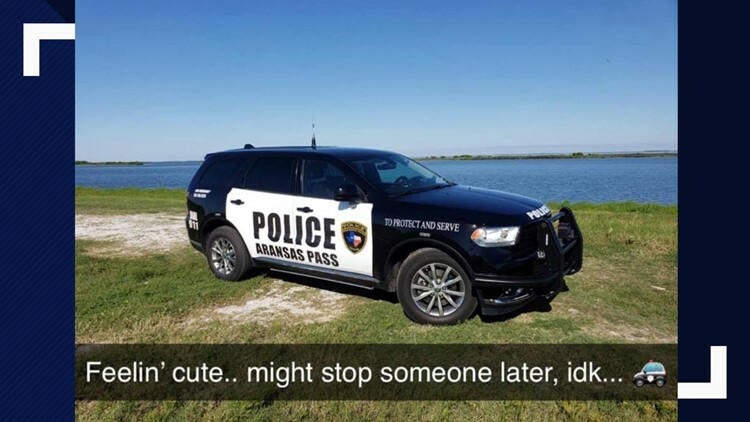 Rather than a selfie, the post includes a photo of an APPD unit parked by the water, with the caption "Feelin' cute.. might stop someone later, idk...". Needless to say, their post generated plenty of reaction, especially the laughter emoji.